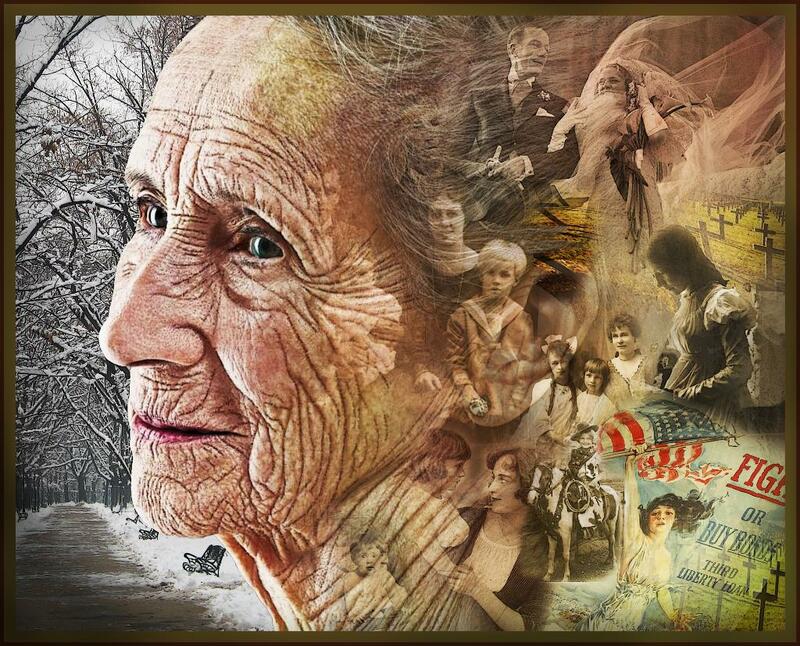 This week our theme word is MEMORIES and this superb collage comes from Deann (Grannie Annie). Thankyou, Deann. There are so many different ways to look at memories and I look forward to seeing them through you, our wonderful participants. Heeey, you're an hour earlier Marie ! hehe. My memories are on my blog. My movie memories are here. Deann a powerful image, bravo on the patience to blend all the image. Beautiful image! My entry is HERE. Thanks for looking. here is my offering. Great inspiration piece, Deann. Wow this is an amazing creation! Deann's art is totally fabulous! My memory piece is on my blog. Thanks for going to take a look. Fantastic example! Here is mine. What a powerful and beautiful example! A photograph taken 22 years ago by my sister, of my oldest niece has inspired me not once, but twice! You can see the art journal page I created 4 years ago and the new painting on my blog. Happy memories, all! Thanks so much for looking and commenting; it means so much to me. You are all an inspiration. grannie..... you have out done yourself!!!!!!! !